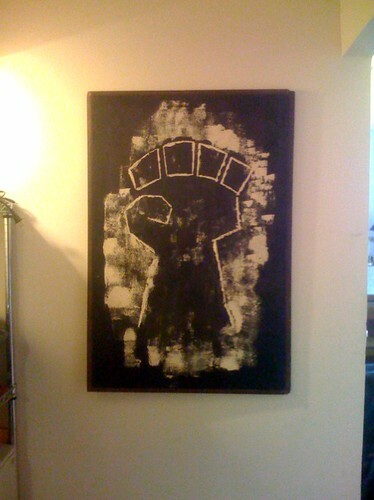 Decorating w/ mom's artwork - power to the people, originally uploaded by baratunde. I grew up with this paiting on the wall. It's nice to have it restored to my current home. Lots of memories.